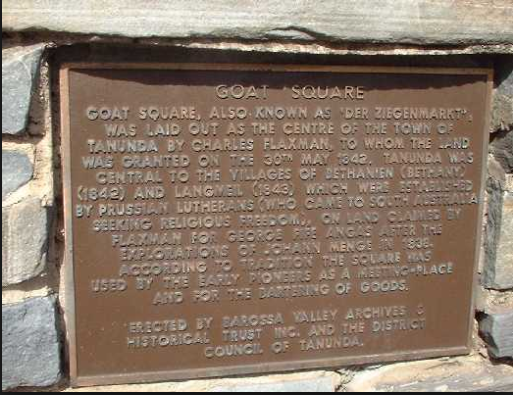 This wine is named after Goat Square which is an historic location in the centre of Tanunda. From the 1840s to 1860s it was a weekend market place, particularly for livestock. My brother David and his colleague Benjamin Parker at Glug choose to remember this Barossa history with a traditional big red of the region. The 2016 Goat Square Barossa Shiraz is the ninth vintage to carry the name. Like its predecessors it is full of intense shiraz flavours. If Barossa reds are you style then this should be your wine. Don't be put off by the low price of $11.99. The Goat will more than hold its own with shirazes selling at twice the price. Rates a 94 on my scale Order from the link below.